Support 105 Gibson Centre with a gift card purchase. 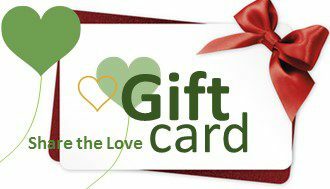 For every gift card purchased, 105 Gibson Centre will receive a rebate from the retailer. The accumulated rebates will enable us to continue programs and services in our communities. You can purchase gift cards online through www.FundScrip.com. Use 8NR7DF as the invitation group code to register for your account. All purchases under this code will be rebated towards 105 Gibson Centre. Please click here for online order instructions.